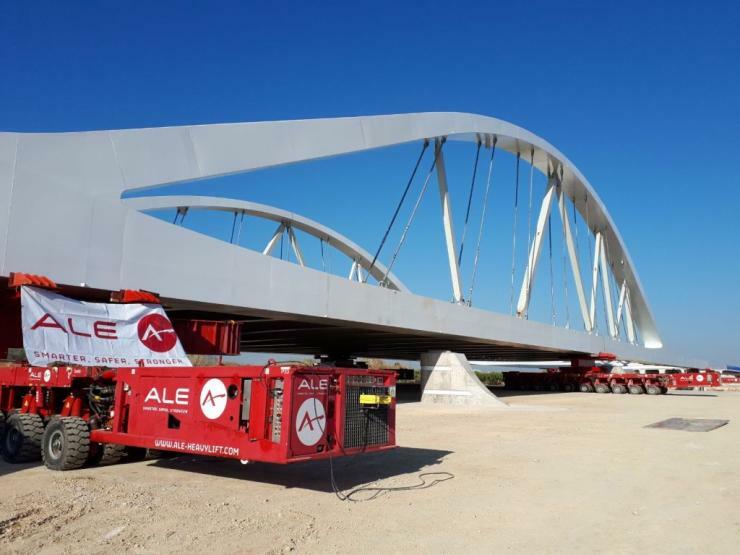 ALE has carried out the launch of a Spanish arch bridge using a method that saved time and reduced the amount of additional strengthening needed. 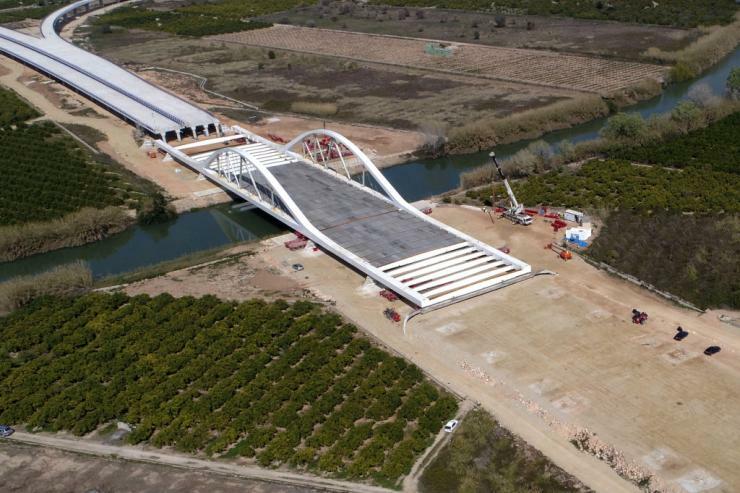 The company used self-propelled modular transporters (SPMTs) to launch the 200m-long, 2,100t steel arch bridge over the Júcar River in Cullera, Valencia. The approach avoided the need for all the additional reinforcement that would have been required for traditional methods. 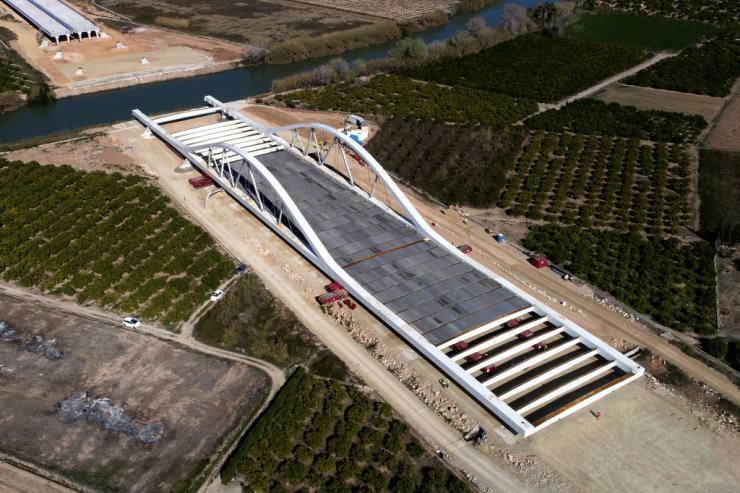 "This bridge is essential for easing the city’s traffic congestion as part of the new highway and we were proud to take part on this complex and challenging bridge launch in the most beneficial way,” said Carlos Gerez, ALE's account manager - civil and mining. “We wanted to find a customised solution for the client that could avoid extra reinforcement and civil works costs. We designed a solution using SPMTs that meant the bridge only needed to be reinforced in specific areas, which saved valuable time and cost for the client." The bridge will form part of the new A-38 highway.